The Primary Duty of the Internal Affairs Unit (IA) is to monitor the actions and behavior of Union City Police Department personnel and ensure compliance with the Department’s Rules & Regulations, Policies, Attorney General Guidelines and Directives, as well as township ordinances, state law and federal law. The IA Unit is responsible for investigating complaints of serious rule infractions, criminal allegations, firearm discharges, vehicle pursuits and monitoring drug testing of employees. The IA Unit also investigates complaints of minor rule infractions and conducts inspections and audits of police property, facilities, and its personnel. Other IA Unit responsibilities include investigating cases of corruption within the Police Department and other agencies, threats against city dignitaries and coordinating with outside investigative agencies. The Union City Police Department takes citizen complaints seriously and understand that public trust and participation is an integral part of policing in our society. The complaint process should not be an inconvenient or overwhelming task. We accept complaints in-person, letter, or through this website. If you cannot come to us, we can come to a location suitable to you. 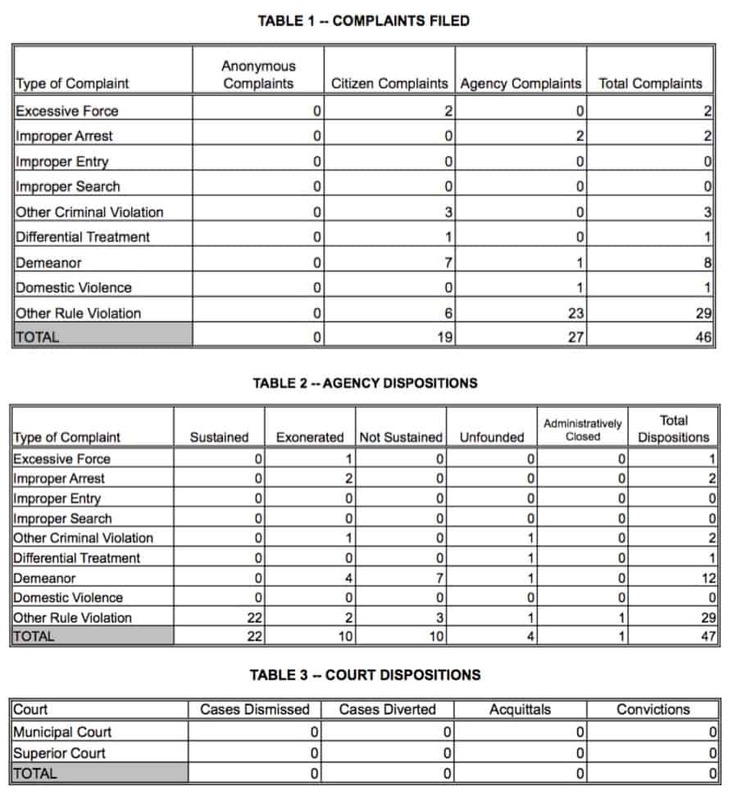 The IA Unit accepts anonymous complaints, third-party complaints and complaints from unaccompanied juveniles (though we suggest that juveniles involve their parents). People who seek to file complaints will not be asked about their immigration status. A complaint should be filed when you witness or experience a personal encounter with Union City Police Department personnel that involves criminal conduct, misconduct, abusive or discriminatory behavior, neglect of duty, corrupt activity, inappropriate demeanor, inappropriate conduct or a violation of rules and regulations of the Union City Police Department. 2. At your home or the location where the incident occurred. You may request that a supervisor respond to your location to take your complaint by calling (201) 348-5790; however any officer can and will accept your complaint. The IA Unit reviews all complaints. Complaints may be handled by IA Unit or referred to command-level personnel, depending on the nature of the complaint. Upon completion and review of a thorough investigation, a final disposition is determined. A thorough investigation means interviewing all witnesses, reviewing any physical evidence, reviewing internal records and assessing the credibility of all claims. You will be notified of the disposition in writing after the investigation is completed. It will be sent by certified mail to the address you provide. Investigations generally take 30 days to complete, depending on a number of factors. You may be asked to testify in a criminal court or a departmental hearing if the investigation upholds your allegation against the officer. Any disciplinary action against an employee must be in accordance with the Union City Police Department rules, state statutes, and civil service rules. We appreciate your time in participating in the complaint and review process. Union City Police Department personnel are held to the highest standards of our profession and we encourage members of the public to immediately bring matters of concern to our attention. Similarly, if you would like to commend a Union City Police Officer for his or her actions, you may do so by writing a letter to the Chief of Police. 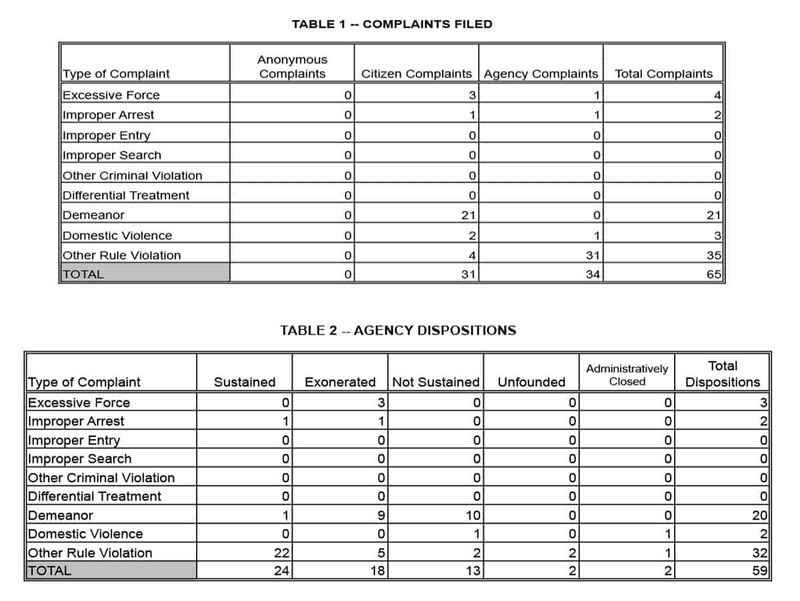 Each year, the Internal Affairs Department issues a report, which displays the total number of complaints, the type, and disposition.